Hello fans, El Bolso here with a very special edition of the Charrúa Report. 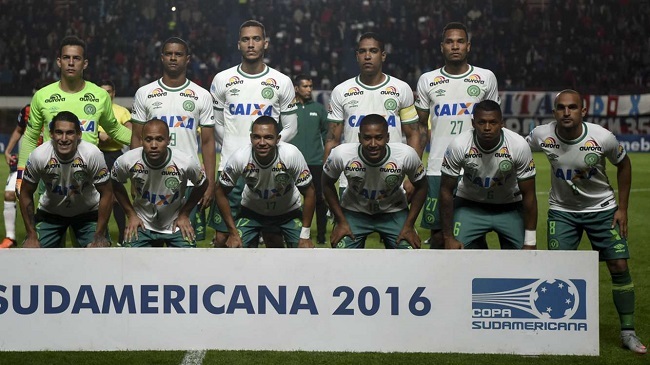 This morning, CONMEBOL officially declared Associação Chapecoense de Futebol winners of the 2016 Copa Sudamericana, so I thought it was a good opportunity to throw my 2 cents in about what happened. 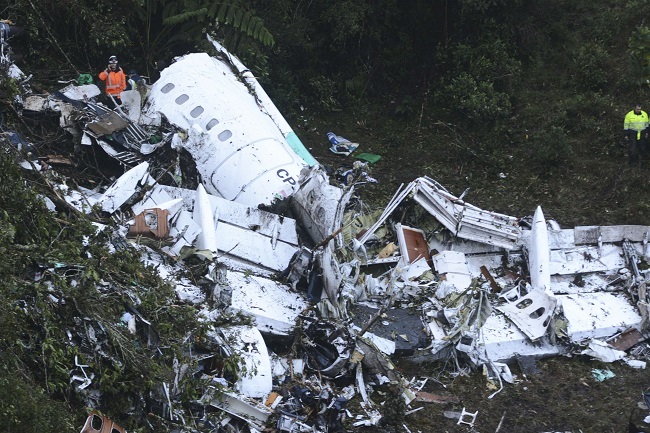 By now I’m sure most of you know what happened a week ago today: a charter plane carrying Chapecoense’s team to Colombia for the first leg of the Sudamericana finals crashed near its destination, killing 71 of 77 people on board. It was an an awful end to what was shaping up to be an amazing story for a team many thought had no business being in the finals to begin with. Look, I’m not saying that this would have been any less sad if a bigger team had been involved, but for a team that a decade ago was mired in Brazil’s 4th division–a team making its second international tournament appearance ever–to be involved in something like this? Come on now. I know 2016 has officially become the year of awful, but did it have to end this way? 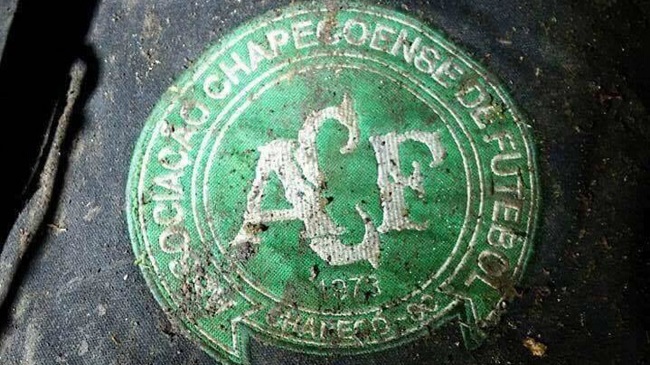 Chapecoense has been around since 1973, and first reached the top level of Brazilian soccer as such in 2014 (they were in “First Division” in the late 70s, but finished in 51st and 93rd place those years, so what the hell kind of first division was it?). The team managed to avoid relegation that first season and the next one, finishing near the bottom of the table but snagging Sudamericana spots because, well, because pretty much everyone in the Brazil first division ends up in an international competition. They did OK in 2015, barely losing to River Plate (yes, that one) in the quarterfinals, but it was in 2016 that they made a splash. After beating fellow Brazilians Cuiabá in the second round, they beat the Argentinian King of Cups Independiente, Colombian powerhouse Junior, and 2014 Libertadores champion San Lorenzo, also from Argentina (and, let’s not forget, the Pope’s boys). That set up a showdown against reigning Libertadores holders Atlético Nacional. The Colombian squad was trying to become the only team to ever win the two major South American tournaments in the same year (no one has done it before, and as of next season, teams won’t be able to participate in both because they will run concurrently). Of course, none of that matters now. Atlético Nacional lobbied for Chapecoense to be awarded the title, which is nice, and CONMEBOL listened, which is surprising but also nice, but really, who cares? The Brazilian team is basically an empty shell and will have to find a way to reconstitute its entire roster, but again, who cares? The only thing that matters is that a whole bunch of families are left in mourning, with just about the entire soccer world joining in their grief (although not this guy, or this guy here). Teams around the world wore Chapecoense shields on their jerseys this weekend, and offers of player loans poured in. All of that is very nice. But we’re still left with 71 deaths that should not have been. In the aftermath of the crash, there have been multiple theories about what caused the crash, but the consensus seems to have zeroed in on fuel exhaustion. The damn plane ran out of gas! Of course there were rumors that CONMEBOL had strong-armed teams into using the charter company in the past (surely in exchange for a handsome payoff), although Chapecoense officials denied that this had happened in this case. What we know, however, is that the flight plan filed by the pilot (who was also part owner of the company) showed that the aircraft’s range and the trip distance were basically the same, leaving no room for error. There are reports that Bolivian authorities (the plane left from Bolivia, because that’s where the charter company was based) initially rejected the flight plan and warned the pilot that it was inadequate; they reportedly asked him to consider making a refueling stop. Other reports say that a revised plan including such a stop was filed and approved, but the stop didn’t happen because the plane was unable to reach that intermediate airport before it closed down for the night. In the end, though, the plan was approved, the airplane took off, and eventually went down due to delays near at their destination airport. Colombian officials say that there was another plane with difficulties trying to land and that the charter pilot did not indicate that his fuel situation was critical until it was too late. Why did the pilot file such a dangerous flight plan? Why would he put his own life at risk, never mind those of his passengers and crew? Well, no one knows for sure, but the fact that he was part owner, and the company was going through lean times, point to cost cutting as a potential reason. Refueling stops cost money, so perhaps the pilot thought he could skip one (and the related airport fees) and make it to his destination without running out of fuel. Bolivia has suspended the company’s flight license (although they point out that this assumes no wrongdoing), as well as put several national aviation officials on leave pending results of an investigation. And hey, wouldn’t you know, one of those officials is the son of one of the company’s owners! Remember, never take potential conflicts of interest lightly, kids. There are a lot of red flags here, fans. The whole situation stinks of cronyism and putting financial concerns above human lives, something CONMEBOL and FIFA are certainly used to. El Bolso is not saying that CONMEBOL shenanigans were definitely involved here, just that the culture of world soccer, based largely on secret deals and payoffs, easily lends itself to tragedies like this one taking place. The recent arrests and suspensions that rocked FIFA in the last couple of years were nice, but there is a ton more work to be done to clean up the beautiful game. Until that happens, we’ll have to keep our fingers crossed and hope that what happened to Chapecoense helps save others from the same fate. Cover image courtesy of Goal.com.